Quicker, more accessible online poker is in high demand, and the value CoinPoker delivers to players and investors is made evident by increasing number of users as well as the rising value of our CHP token. Our investors comprise of more than just poker fans. From Asian venture capitalists to seasoned cryptocurrency traders, the obvious demand for a transparent poker platform has attracted interest from a wide range of investors who are already reaping benefits. 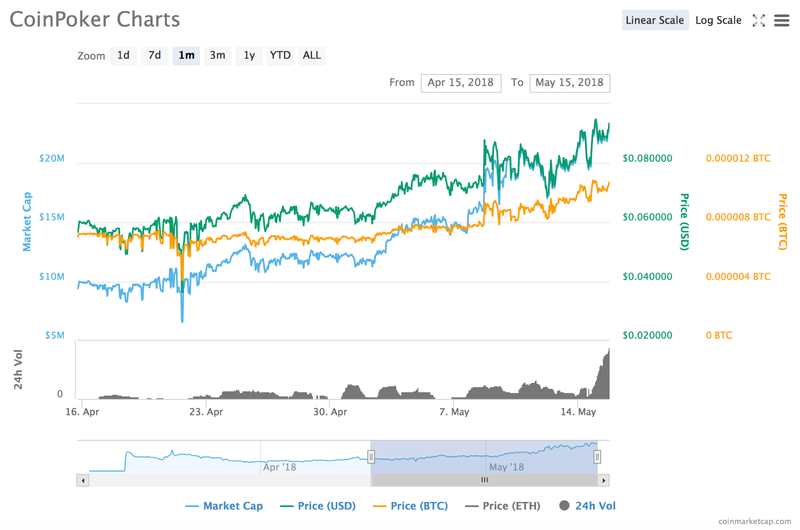 According to CoinLiker’s prediction algorithm, at the current rate the value is expected to rise to$2.30 in one year, and as high as $16.37 in five. Naturally there are innumerable factors that will sway these outcomes. Nevertheless, these results are very promising when considered in combination with product improvements made during this period of growth. The ETH Madness series where 200ETH tokenswere added attracted plenty of new players alongside a number of other project developments. In recent months, CoinPoker has established a number of prominent partnerships, including sponsoring major poker events like the Asian Poker Tourand Japanese Poker Cup. 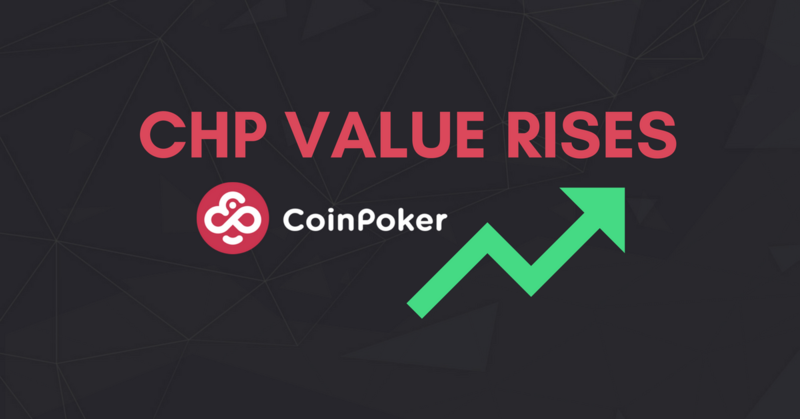 Within the past couple of months, the progress made with regard to establishing itself as a globally recognized platform in the eyes of the poker community has been undeniable; as is the effect of this on CHP value. As for the first Crypto Series of Poker coming up at the end of the month, the expectations are high. With 10,000,000 CHP tokens added to this series, promised to investors and players during the ICO stage, the event is bound to attract interest from poker players and crypto hodlers alike. In addition to large scale promotions, the much anticipated release of the CoinPoker Android app is coming up soon. This alongside the full transition to blockchain RNG and a number of exciting in-app features is expected to further contribute to this positive trend in CHP value. Previous Post Play the Crypto Series of Poker (CSOP) for 10,000,000 CHP Added!